The Declaration of Arbroath, 6 April 1320. Signed at Arbroath Abbey on 6 April 1320, the Declaration of Arbroath was an eloquent plea for the liberty of man. It affirmed Scotland’s nobles’ allegiance to Robert the Bruce as their king and declared the right of the Scottish nation to self-determination. 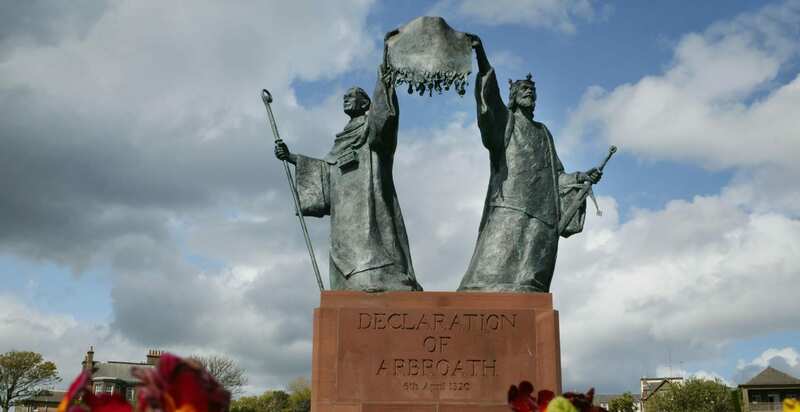 The Declaration of Arbroath is also acknowledged as the basis for the American Declaration of Independence, especially as Thomas Jefferson learnt about the principles of democracy from a professor from Arbroath, William Small, who emigrated to the New World in the 1700s.